We are always looking for new sponsors and investors. If you feel we could help your company with advertisement in return for sponsorship please get in touch. We have a huge social media following and are travelling up and down the country on a weekly basis and can get your company or product known to many. 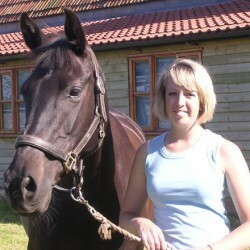 I bought my first horse Quaver off Becky and over the years she has helped me enormous amounts. She always has the best words when things are going wrong, she takes a huge interest in every one of my horses and I honestly couldn’t be anywhere without this incredible woman. She also has magic hands and regularly comes to treat my horses.